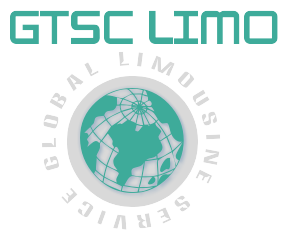 GTSC Global Transportation offers comprehensive limousine services throughout the nation, twenty-four hours a day. We maintain an extensive fleet of newer model Lincoln Town Cars, stretch limousines, and luxury SUV’s, designed specifically to accommodate the transportation needs of individuals and small groups. Our limousine services are unparalleled in the industry, because of our high-quality vehicles, our wide selection of limousines, and our expansive service area. GTSC Global Transportation is the one company that can provide you with any type of limousine service in any major city in the United States, around the clock. Town Car limousine service is perfect for parties of one to three. The luxury series Town Car is the ultimate in luxury sedan travel. For airport transportation, hourly limousine service, special events, or corporate limousine service, the Town Car is the perfect choice, with a large cargo trunk, and a luxurious, spacious cabin, appointed with genuine leather. For slightly larger parties, or parties with extra cargo, a luxury SUV is the best option. Our luxury SUVs can seat up to six passengers comfortably, and the cargo area is large enough to accommodate a considerable amount of luggage. Luxury SUVs are black on black Cadillac Escalades, Suburbans, or other oversized SUVs with the same luxurious leather interior as our luxury sedans. We also offer stretch limousine service, which seat five, seven, or nine passengers. Stretch limousine service is the ideal choice for parties of four or more, and are perfect for metropolitan tours, airport service, or special events. Stretch limousines are stocked with beverages, and often include a state of the art entertainment system. In addition, the passenger area can be partitioned off from the chauffeur, for complete privacy. Our stretch limousine service is the ultimate in private, chauffeured luxury transportation. In addition to limousine service for individuals, we offer group transportation for corporations and other large organizations, who require the coordination of multiple transfers in several different vehicle types. GTSC Global Transportation has over twenty years of experience managing limousine service and luxury shuttles for groups who require a company that can provide a wide range of chauffeured luxury vehicles to perform a wide variety of services on short notice. GTSC global transportation takes pride in providing unparalleled transportation services in United States. Comprehensive limousine services from GTSC are available 24*7 for individual as well as corporate clients. The luxurious NJ limos, Manhattan limos, New Jersey limos and New York limos from GTSC need no introduction to corporate clients. With fleet of luxury vehicles, the company has the ability to provide a consistent and high level of services to its clients. Similar to the normal route transportation for the clients, the airport limousines as NJ airport limousine and NY airports limo by GTSC holds an outstanding record of safe and secure transportation. Aside the corporate travel, the limousine service NJ, Limo service New Jersey and Limo services in New York by GTSC is also perfect for parties and fun occasions. GTSC global transportation has more than twenty years of experience in managing limousine services and luxury shuttles to perform a wide variety of services even on short notice.